Bathroom design doesn’t move quite as fast as technology, but there are many varying trends and must-have items that flood into the marketplace. If you’ve ever bought an old house or had to renovate your gran’s place, then you’ll know that, eventually, bathrooms start looking dated. Coloured suites and carpet (what was that all about?) are now thankfully very rare. It’s more about clean lines and bright neutral colours. But what stops your brand-new bathroom looking dated very quickly? There’s no doubt about it, the colours you choose in your bathroom will determine their success in design and the eventual longevity of their modern feeling. Bathrooms of old were burgundy, cream and that delightful mushy peas colour. Lovely. It’s no wonder they quickly dated and now look very old indeed. Stick to greyscales with your colour schemes. These will be a safe bet to still be very popular in years to come and contrast well with a bright white suite, which will also fare well in the fashion storm. 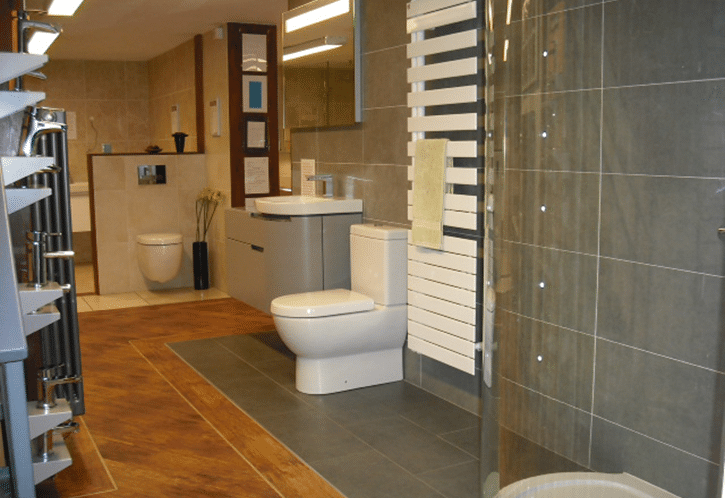 Modular bathrooms are pre-designed (to your bathroom needs) and give a uniform appeal, look and feel. 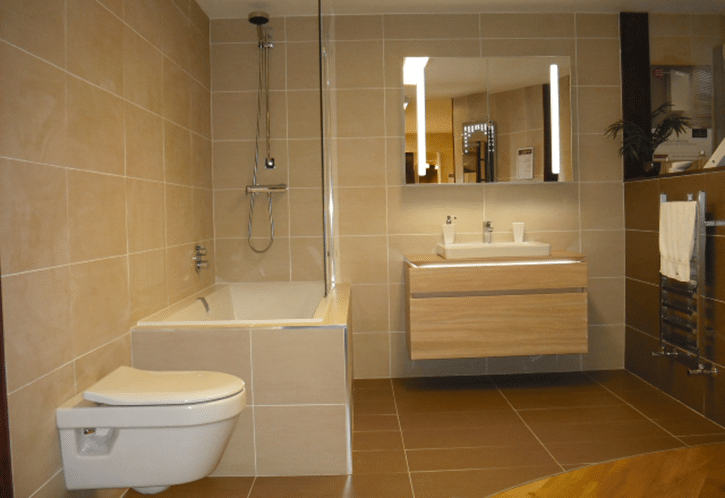 Instead of mixing and matching suites with units, modular bathrooms are all built and designed around a certain look and design. 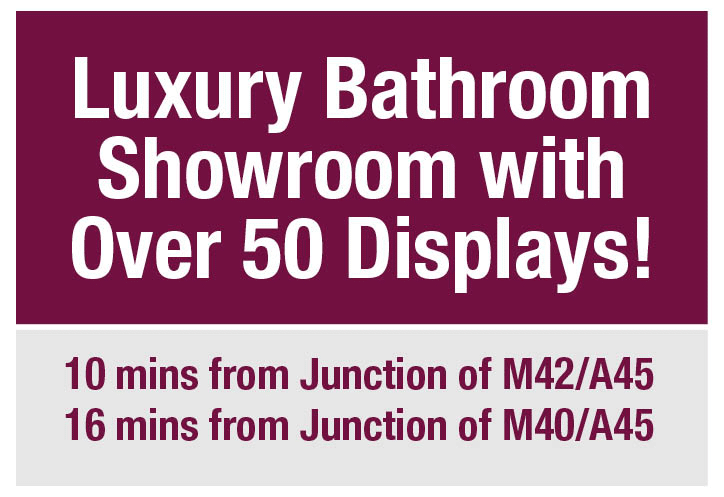 Because they’re more streamlined and now becoming more popular too, it’s unlikely that a modular bathroom will look dated any time soon… unless you decide on a very striking colour, that is. Lose your lip – go rimless on your WC! An important part of your bathroom design is your WC. It’s a very functional item with complicated plumbing, and in the past this has made the design rather ugly. 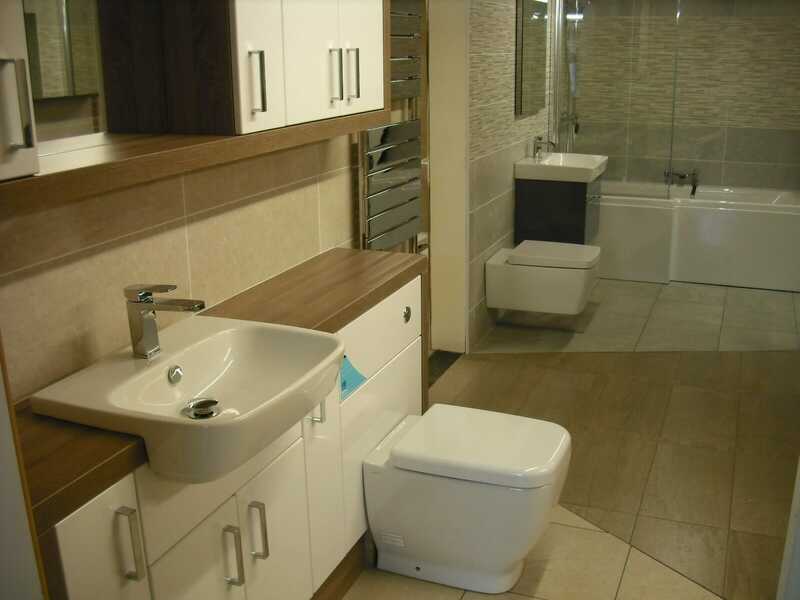 You can’t really hide a WC as you need to be able to sit comfortably on it, so having a clean design is the best way to help it blend in and not take over the look of your bathroom. The new rimless designs are far curvier and smoother on the eye. 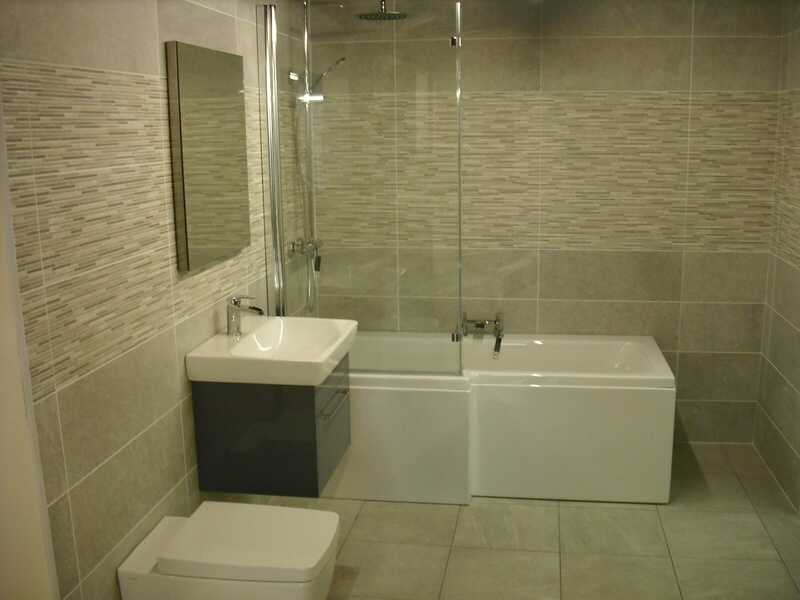 The clean lines and lack of messy edges help them to give your bathroom a modern look and will be around for the foreseeable future. Go rimless to stay on trend on the pan for years to come. The trend right now is a more square design although if too square they tend to put people of choosing them. Both round and square designs are available in rimless. Tiling the entire bathroom is now the norm with bathroom design, but as we’ve said on this blog before, the type of tile you use massively changes the design outcome for your bathroom. In life, big isn’t always best, but in bathroom design we’re certain it is. Aim for a large tile for today’s bathroom so it still looks fresh in years to come. The bigger the tile, the less grout lines you’ll have, and that’s less ‘noise’ and lines on your walls. It all leads to a cleaner look and a more modern, more future-proof look for the largest part of your bathroom. A clean bathroom is a fresh bathroom, and keeping it looking as new as possible is as simple as making sure you have that new bathroom shine for longer. Excessive cleaning could send you crazy though, so why not invest in some Ceramic Plus? The treatment will help water slide off your suite and glass to stop lime scale, and also keeps it nice and shiny without the need for constant cleaning. 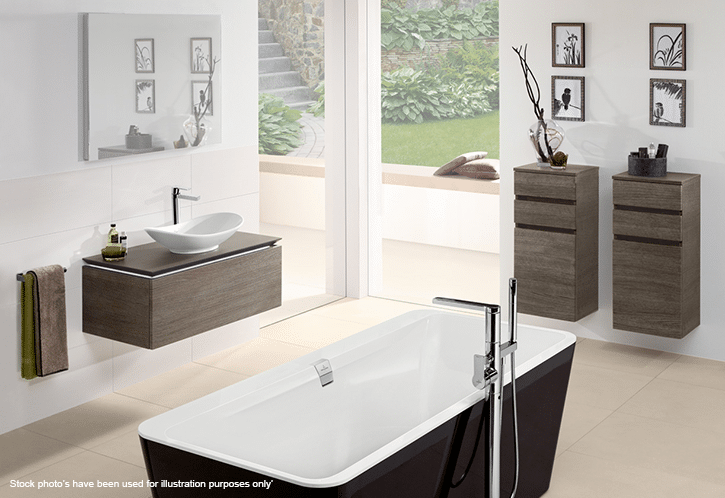 Nothing looks better than a brand-new fitted bathroom… so keep it that way! It’s true, you know: quality products last longer. When you’re planning on future-proofing your bathroom it’s not just about the fashion and design – it’s about the longevity of your products. Choose a suite and furniture that are quality and have a long-life guarantee. Nothing screams out of date or old more than broken parts and worn-out mechanisms. Quality is timeless? Well, it’s a little longer than a few years, anyway! Bright white and simple colours with a quality suite and furniture and some large tiles on the wall. Avoid complicated ornate designs and try to keep the design simple and fresh. It’s certainly possible for your bathroom to still look modern in many years to come if you do this. 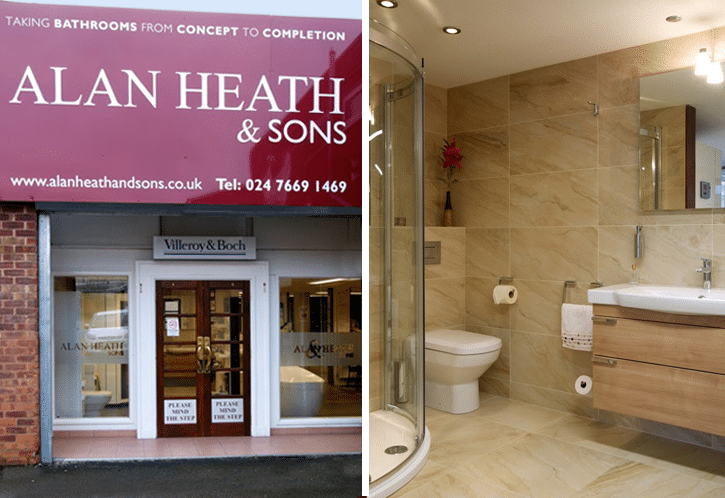 Of course, if you need some more help, just give us a call or drop into the bathroom showroom in Coventry and we’ll be able to help you.